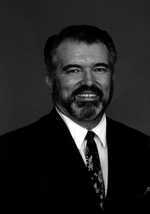 DAN ROGERS, M.D., graduated from Loma Linda University in California in 1970 with a B.A. in Biology and Physical Education. He then continued graduate studies at University of California San Bernardino, University of California at Riverside, and the Riverside Law School. In 1976, Dr. Rogers received his Medical Degree from the Universidad Autonoma de Guadalajara and served his internship residency in Family Practice Medicine in Florida. In 1978, Drs. Dan Rogers, Victor Ortuño, and Arturo Ortuño started Hospital Jardines de La Mesa in Tijuana, Mexico where the Gerson Therapy was used as the primary treatment for cancer and other degenerative diseases. In 1980, through a corporate merger with Hospital La Gloria, the two Gerson facilities became a single, united Gerson Treatment Center. Dr. Rogers assumed Medical Administration of the Gerson Therapy in Mexico at that time. He has continued to promote the use of Gerson Therapy at Centro Hospitalario Internacional Pacifico, S.A. (CHIPSA), where he is currently Chief of Staff and Director of Clinical Investigations. In 1996, Dr. Rogers began working with Josef Issels, M.D. to combine the Gerson Therapy with the Issels Whole-Body Immunotherapy, where he worked jointly with him for almost 3 years, until Dr. Issels passed away at the age of 90.